A UK manufacturer is targeting a major sales drive in Japan as it looks to boost its presence in the Far East. Alloy Wire International (AWI), which supplies more than 60 different ‘High Performance’ alloys to clients in the automotive, aerospace, oil and gas and nuclear, has invested £100,000 into establishing a new sales partner in Tomoe Engineering Co and launching a dedicated Japanese website and suite of marketing materials. The company has also recently gone one stage further by joining its new sales team at its first ever Tokyo exhibition, showcasing its unrivalled range of materials and 3-week delivery lead times to an audience of nearly 90,000 delegates. It was a major success, with lots of new enquiries taken and a foothold now established, paving the way for a sales push that could generate £250,000 of new contracts over the next 18 months. 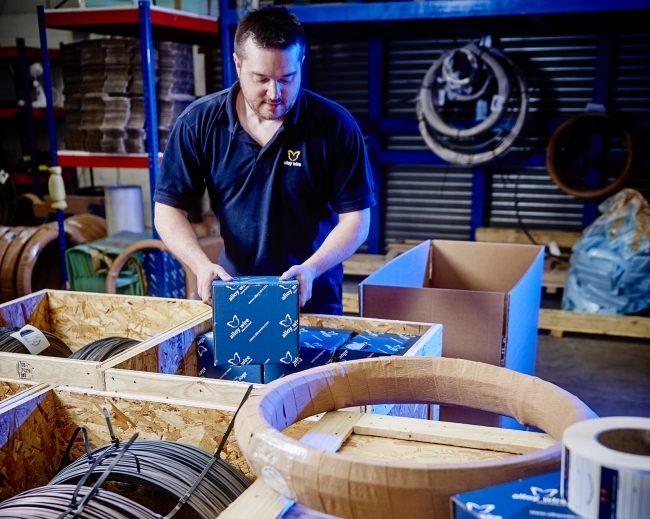 Angus Hogarth, Sales Director at AWI, said: “Export orders now account for more than half of our £10m turnover and we’re continually finding that our wire, technical expertise and service are in demand all over the globe. He continued: “The first step was to forge a relationship with a local Japanese company and that was quickly sorted with the appointment of Tomoe Engineering Co, a $240m industrial specialist. This gave us the platform and from there we have travelled more than 48,000 miles, spending time training their staff and creating Japanese marketing material and a website. “We have recently returned from M-Tech (Mechanical Components & Material Technology) Expo…wow, what a show. Nearly 90,000 people visited during the three days and we saw a lot of possible new customers, who handled wire samples on display and expressed surprise at the extent of the size range available – from 0.025mm to 21.0mm diameter. Investment in pursuing new business with Japan is paying off, with orders up 1000% on this time last year and website traffic up to 1200 visits per month – compared to an average of 90 during 2017.